When you’re working with electrical systems, you need to know about the power quality that you’re dealing with. By taking advantage of a power quality analyzer rental, you can get more data to help you sustain correct functioning of the loads you have to work with. If you’re able to test the power quality, you can focus on preventative maintenance of your systems. If the power isn’t where it should be, you can make repairs before the system has a chance to cause a short. You should already know what the power quality should be. With the analyzer, you can find out what it is really at. Making adjustments can help you prevent major problems when you’re operating a system. There are all sorts of things that you can do with an analyzer. You will learn about the power in terms of voltage. Plus, the amp probes will let you know about the AC and DC power that you have inside of the system. The analyzer will include the analyzer, voltage leads with clamps, amp probes, as well as software. The software will make it easier for you to understand the data from the analyzer itself. It’s easy to overload the power on equipment. Although you think you are doing everything properly, the equipment may dish out more power than you anticipate. Then, you blow a fuse, damage your equipment or run into some other kind of issue. The improper functioning of a load is, often, a result of the quality of the electric circuit. When you can test for the quality of the power, you can avoid overloads. 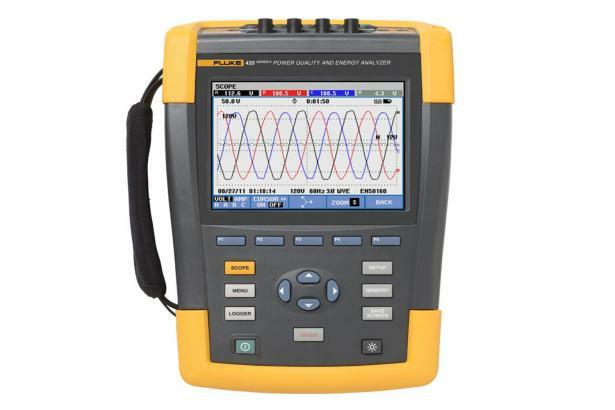 By renting a power quality analyzer, you’re able to run the tests on your own. It makes it easier to learn more about the power within various products. Plus, the rental ends up saving you money in comparison to investing in the equipment.